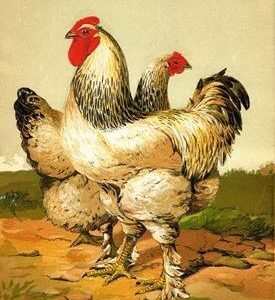 “Partridge Cochins”, an illustration by Harrison Weir for W B Tegetmeier’s landmark work “The POULTRY BOOK”, published by George Routledge & Sons in 1867. 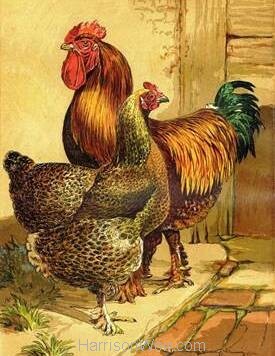 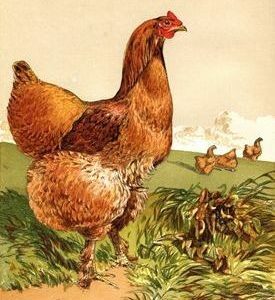 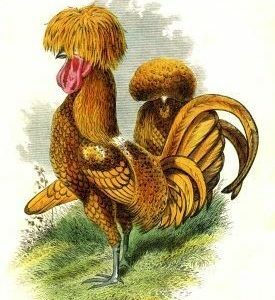 This was just one of several early Poultry Books penned by other authors, that were illustrated by Weir and a pre-cursor to his own epic work ” The Poultry Book” which he wrote and illustrated over a 20 year period, (completed in 1902) and which is today considered to be his “Magnum Opus”. 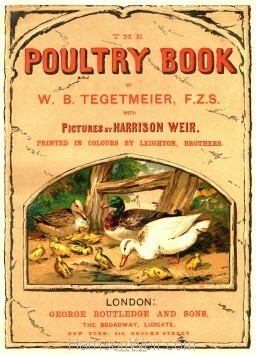 Weir worked with Tegetmeier from the early 1850’s and had regular contact with him at “The Field” Office, where Tegetmeier contributed heavily to the Editorial Dept on anything relating to Natural History. In his preface to the biography on Tegetmeier “A Veteran Naturalist”, Sir Walter Gibney wrote: “he was universally regarded as the final dictator in all matters relating to Poultry”. 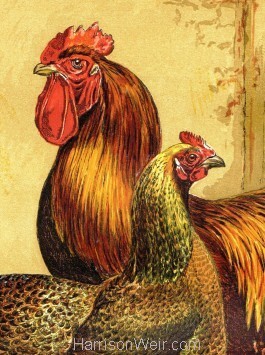 Despite their close working relationship on Poultry and Pigeons, both men held strong and sometimes differing opinions, both were regarded as authorities and both were regularly consulted as Judges on Poultry, Pigeons and Cage-Birds, even by Charles Darwin. 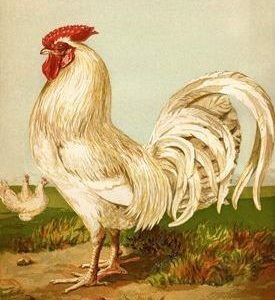 But it is Harrison Weir’s artwork that has stood the test of time and still stands as a testament to the historical accuracy of the standards of the period. 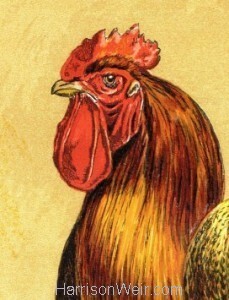 Currently available in A4, A3 and A2 sizing options, with A2 showing any and all blemishes or imperfections of the original.